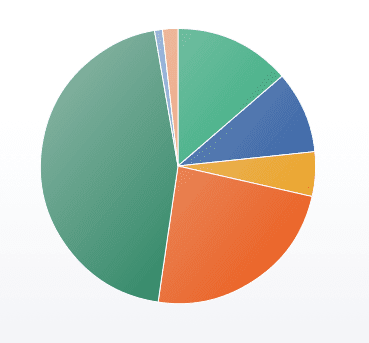 Collection of 10 awesome jQuery and HTML 5 libraries to create circular chart. Circliful is a jQuery plugin for showing circle statistics. It is based on HTML 5 and jQuery so no images are used. Chart.js uses the HTML5 canvas element. It supports all modern browsers, and polyfills provide support for IE7/8. Learn how to use the HTML5 canvas element, CSS3 and jQuery to create a gorgeous, interactive animated pie chart. Morris.js is the library that powers the time-series graphs. It's a very simple API for drawing line, bar, area and donut charts. Google chart tools are powerful, simple to use, and free. Peity (sounds like deity) is a simple jQuery plugin that converts an element's content into a simple svg mini pie line or bar chart and is compatible with any browser that supports svg: Chrome, Firefox, IE9+, Opera, Safari. jqPlot bakes up the best pie and donut charts you've ever tasted! Like bar and filled line plots, pie and donut slices highlight when you mouse over.